We hope that you and your family will join us at our Blue & Gold Banquet scheduled for February 20th at 5:45pm at the Coyote Creek MPR. We are very proud of all the boys' achievements and extremely appreciative of all the parental involvement. 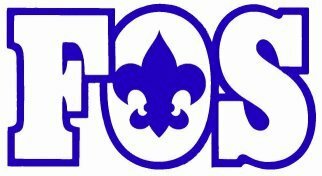 During the banquet, a District representative will be showing a video and making a brief presentation of the annual Friends of Scouting (FOS) campaign and then asking for your pledges to support our Pack’s FOS effort. The FOS program helps underwrite the cost of Scouting for our district, the Mt. Diablo Silverado Council. We thought it might be beneficial to send out this letter in advance for your information, so you and your spouse can discuss the tax deductible amount your family is considering donating. Each year, our Scout parents are asked to support some of the hidden costs of Scouting. The Mt. Diablo Silverado Council, which serves around 17,000 youths, provides numerous benefits to all of our boys and adult volunteers. A few of these benefits include subsidized Cub Day Camp and Cub Family Camps, maintaining facilities such as Camp Herms and Wolfeboro, as well as youth and leadership training. FOS provides these benefits to our Scouts throughout the bay area. The Scouting organization annually spends about $250 per boy while the registration fee is only $24. The Council hopes that each family will give enough to offset the spending cost for each boy, but if your family cannot contribute to this extent, please know that any amount is welcome. Participation by every family, at any level, is the goal. If you believe that the Scouting program has had a positive impact on your family, we urge you to join us in this effort to keep the Scout program a dynamic experience for the youth in our area. Find out how you can help by visiting the Council website. Every February our Pack participates in the annual Friends of Scouting fundraising campaign for the Mt Diablo Silverado Council, and I’m writing to ask you to join my family in supporting this effort for the Council. I will be giving a brief Friends of Scouting presentation at the Blue & Gold dinner this Friday, and I put together the information below to hopefully answer some questions you may have. The Mt Diablo Silverado Council serves over 14,000 scouts in Contra Costa, Solano, Napa, Lake, and northern Alameda counties. The Council’s 2011 annual budget is $2,984,598 and 29% of those funds come from the Friends of Scouting campaign. Here is how the Council spends the $2,984,598…85% on programs and activities, 9% on fundraising, and 6% on administration. So you can be assured your contribution will be used wisely for programs and activities. The activities and services provided by the Council are training, camp Herms and Wolfeboro, recruiting materials, administrative services, professional services, insurance, and most everything we need to run Pack 1776. Pledge cards and envelopes will be passed out by the Den leaders to the families in their dens at the Blue & Gold dinner Friday. Families are asked to complete the pledge card, and then return the pledge card and their donation or pledge to their Den leader Friday night. I need to turn in the pledge cards and donations next week. What are my options for donating? Cash, check, or credit cards are accepted, and should be collected the night of the Blue & Gold dinner. Donating Friday may not be convenient for some, so pledges are another convenient option and can be spread out over time. Pledges for $25 can be taken and reminders mailed. Pledges can be annually, semi-annually, quarterly, or monthly. The Council estimates it costs approximately $185 annually to support each scout, and this is the amount Council hopes each family will contribute. Pack 1776 families have been very generous in the past…some families give more than the recommended amount, some give the recommended amount, some give less. At the end of the day, this is a personal decision, and all contributions regardless of amount are appreciated. Want to supersize your donation? Check with your employer to see if they have a matching gift program. View the presentation by Lynne Leach, Mt Diablo Silverado Council President, former member of the California State Assembly. The presentation is only 4 minutes long, and provides additional information. On a personal note, fundraising is not something I gravitate to, but I sincerely believe in the Boy Scouts of America and support the Mt Diablo Silverado Council Friends of Scouting campaign with all my heart. As a boy growing up, I was both a Cub Scout and Boy Scout in the Mt Diablo Silverado Council, and I was fortunate enough to attend many of the events and camps supported by the Council. As a Boy Scout, I went to Camp Wolfeboro 4 consecutive years and had the time of my life. In scouting I established friendships with guys that are still great friends to this day. I could not have experienced all that I did if it weren’t for the generous folks that supported the Council then. Now it’s time for me to give back, and I hope you will join me and support the Council’s Friends of Scouting campaign. Many of you have participated in Council events like family camps, day camps, webel-o-ree, marksmanship days, etc. just to name a few. These fun and educational programs would not have existed without your support. Accept the friend request and be a friend of Scouting. You will hear more about it soon. Meanwhile, find out more about the Friends of Scouting campaign at the Council's website and this video.